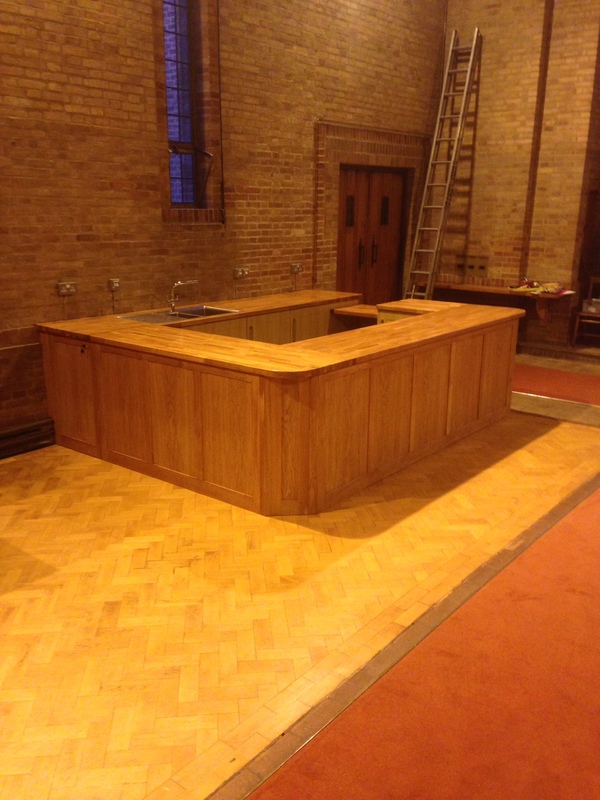 Built in 1938 to serve the congregation of Lenton Abbey, St Barnabas church was designed by Thomas Cecil Howitt, architect of Nottingham’s own Council House. 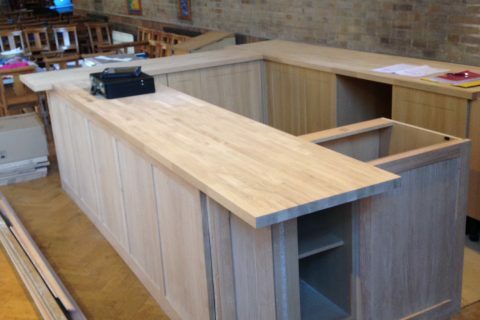 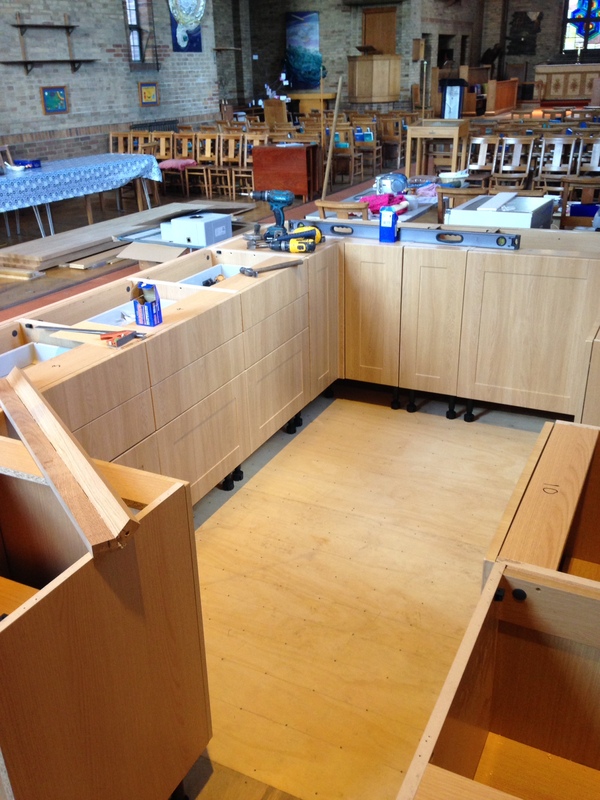 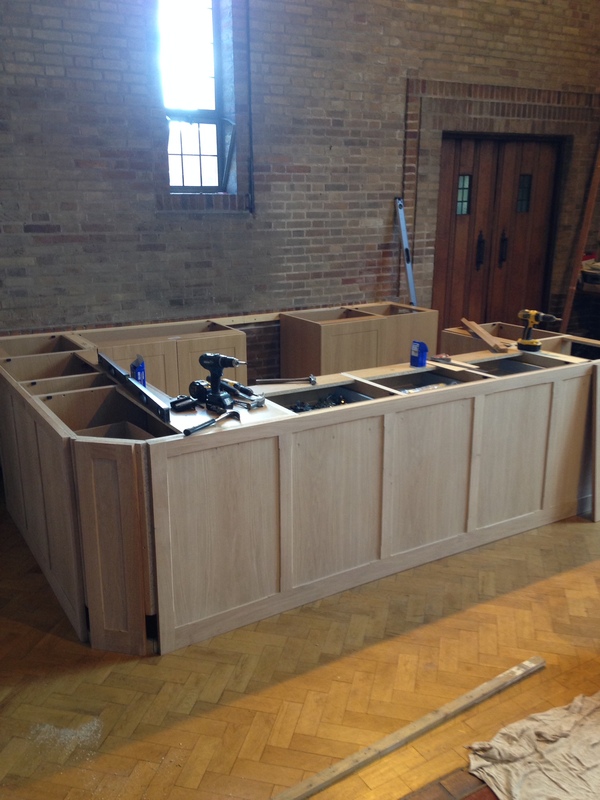 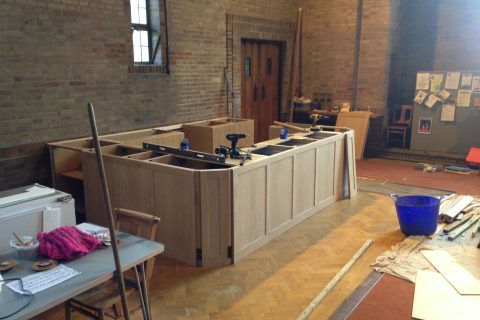 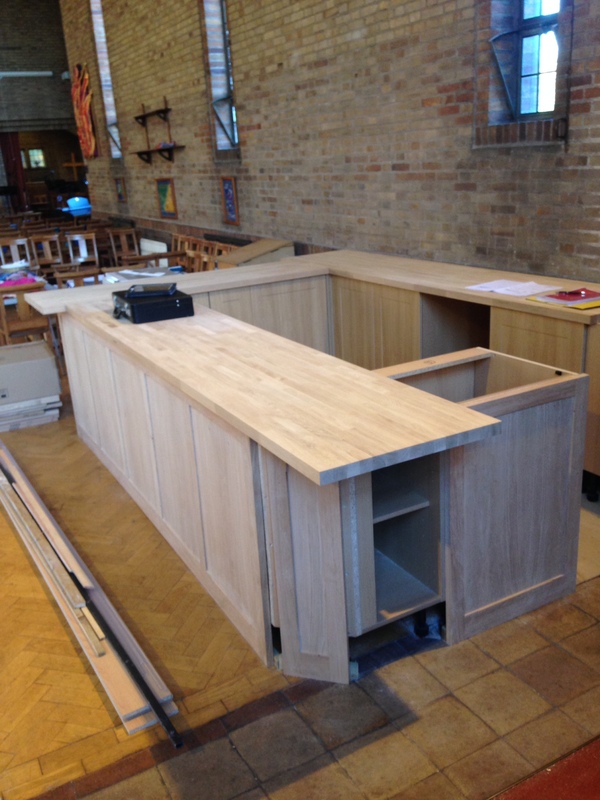 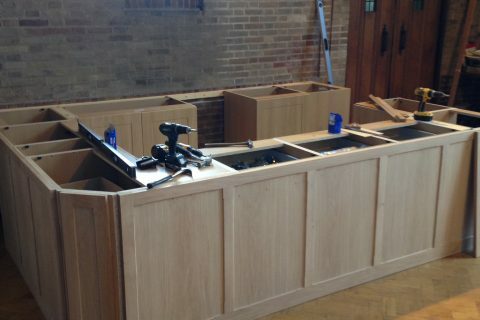 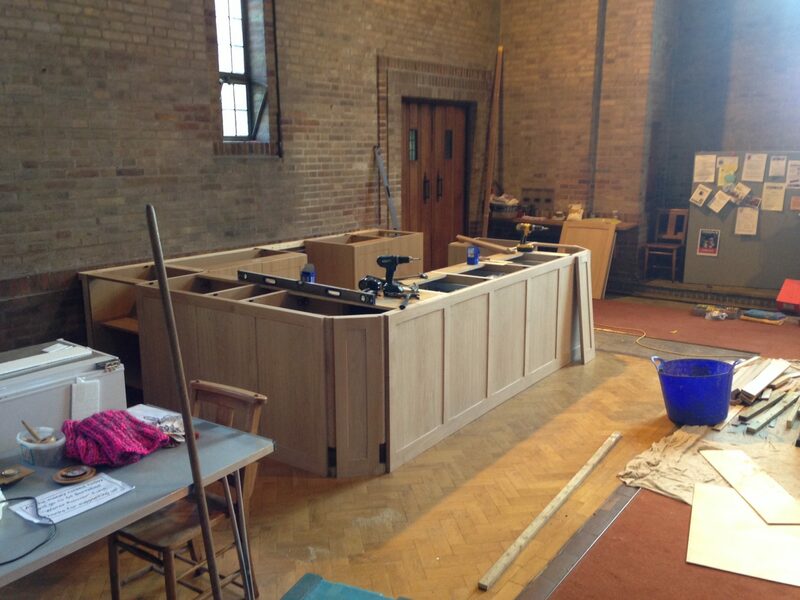 We were conscious of this tradition of local design as we took on a brisk three-week project to build and install a bespoke oak kitchen within the church itself. 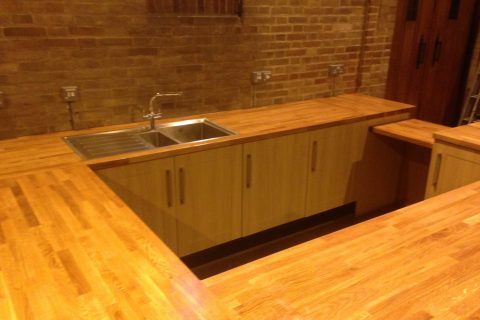 The aim was not only to make the building more appealing but to ensure the servery area worked for its users. 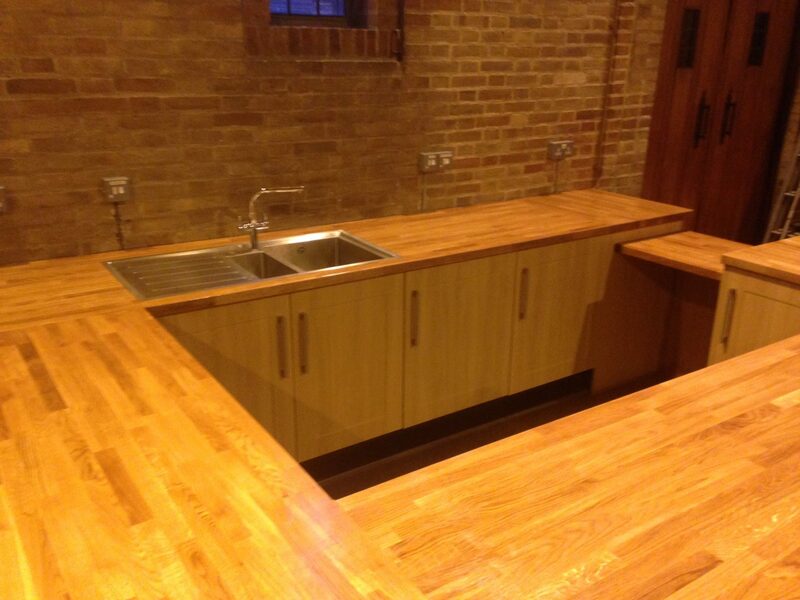 This meant running in water pipes and electrics in addition to hand crafting the kitchen itself. 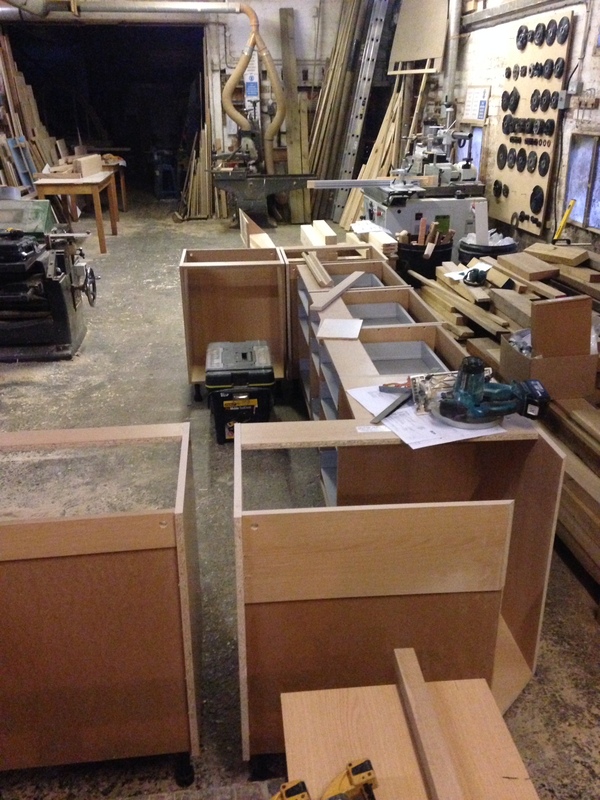 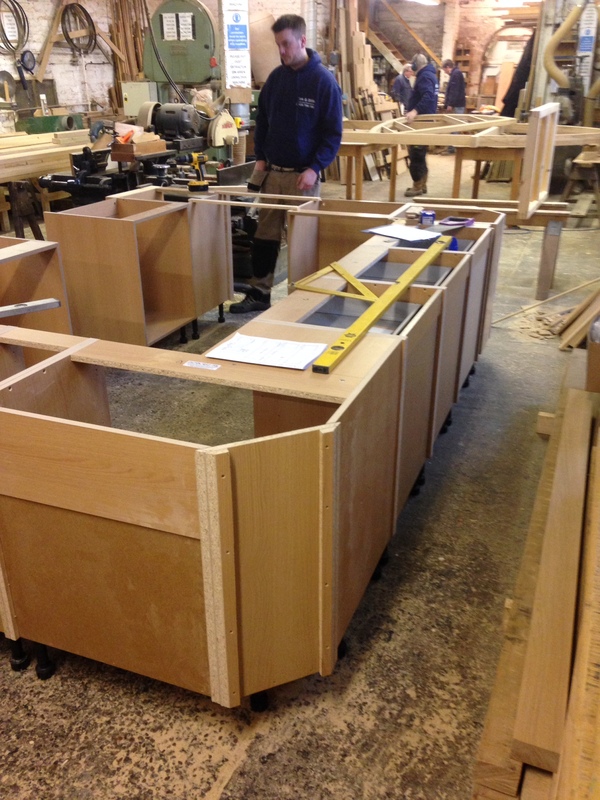 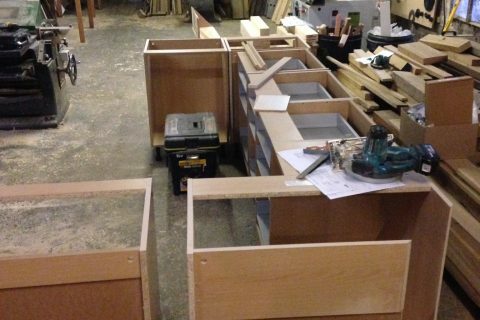 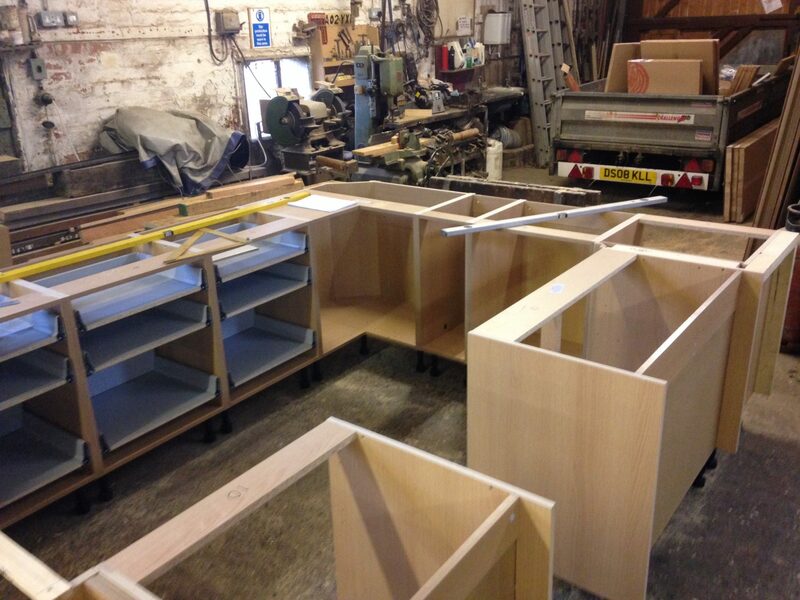 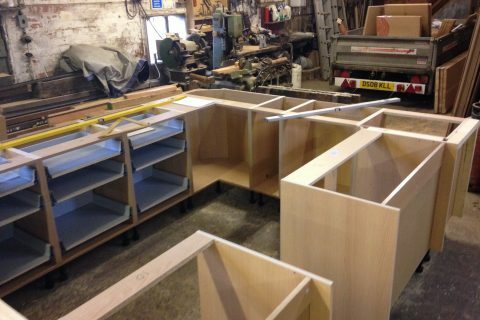 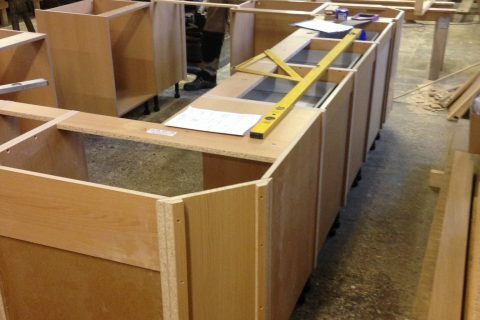 Working to the architect’s designs, we created solid oak doors and pre-assembled standard carcass units in our workshop before installing and carrying out adjustments on-site. 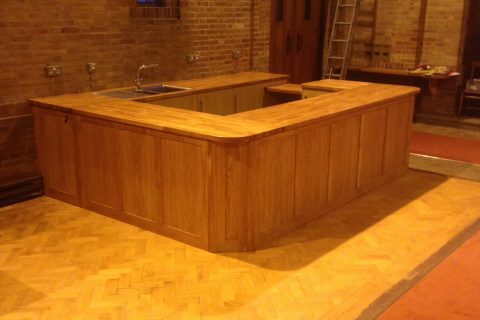 The design also demanded oak worktops, which we fitted with care and scribed on location in order to deliver a seamless fit with the external wall. 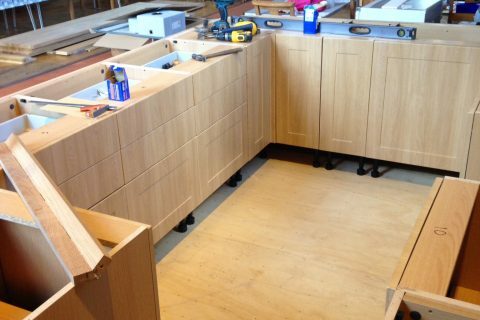 In addition to building and installing the kitchen units, we undertook flooring works, oversaw a full installation of external drainage works to the local manhole and managed electrical and plumbing suppliers to successful, on-budget delivery.